In Parts 1-4 of this series, I reviewed various studies and commentaries to help you determine an appropriate safe withdrawal rate for your retirement nest egg. I also provided alternatives and/or variations to the safe withdrawal guidelines. Today, I examine the factors that can impact both the funding of your nest egg and your withdrawal rate in retirement. 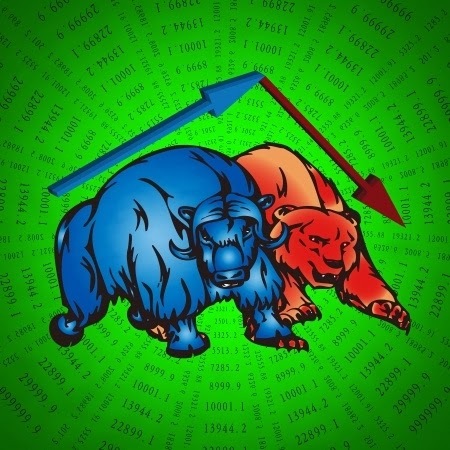 The unpredictable nature of most of these factors make it virtually impossible to determine a definitive retirement number and is why I say the "Heck if I Know or Anyone Else Does" how much money you need to retire. In Canada, the average male lives to approximately age 79 and the average female lives to approximately 84. Based on the above, your retirement planning should at a minimum assume one spouse will live to at least 95 years old. 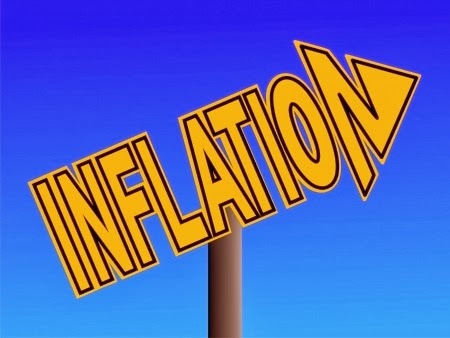 The rate of inflation can drastically alter your retirement savings and consumption. An economic environment of low market returns and high inflation can severely impact the funds you accumulate to fund your retirement and the real returns you achieve in retirement. Conversely, interest rates tend to rise with inflation, providing a potential buffer if you lock in higher interest rates and inflation subsides (I remember Canada Savings Bonds paying 19.5% interest in 1981 when inflation was around 12.5%, however, inflation was back down to 4.5% by the end of 1983 and many people were very pleased they had CSB's or GIC's paying very high rates of interest for many years). An average inflation rate of 2% will mean that the $50,000 you expect to spend in retirement in 2014 dollars will require approximately $61,000 in spending in 2024. One of the criticisms of the 4% rule is that the models cumulative inflation adjustment may force you to take larger and larger withdrawals without regard to your actual spending requirements. Substantive evidence for this criticism is provided below by David Blanchett, the head of retirement research at Morningstar in Chicago. In this Wall Street Journal article by Kelly Greene, Mr. Blanchett said the following about the correlation between spending and inflation. "Pretty much every paper you read about retirement assumes that spending increases every year by [the rate of] inflation." Ms. Greene went on to say that "when he analyzed government retiree-spending data, he found otherwise: Between the ages of 65 and 90, spending decreased in inflation-adjusted terms. Most models would assume that someone spending $50,000 the first year of retirement would need $51,500 the second year (if the inflation rate were 3%). But Mr. Blanchett found that the increase is closer to 1%, which has big implications over decades, 'because these changes become cumulative over time,' he says". It is interesting to note that Mr. Bergen showed that even if you started retirement in the great depression or in the recession of 1973-1974 (which also included a period of high inflation); your money would still have lasted over 30 years, because of the power of stock market recoveries. However, Moshe Milevsky and Anna Abaimova in this report for MetLife (see page 4 of the report, page 7 of the PDF), very clearly reflect the dramatic difference in retirement outcomes you will have when you have negative market returns early in your retirement vs later in your retirement. Thus, prudent planning would be to start your retirement following a bear market :). 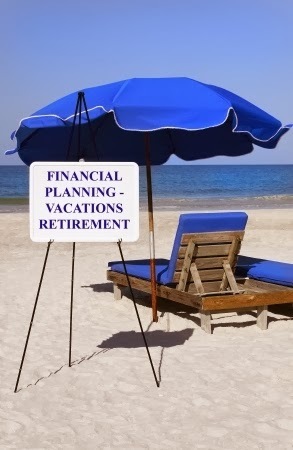 The allocation of your retirement funds between registered (RRSPs, LIRAs, Pensions, etc.) and non-registered accounts (bank, investment, TFSA, etc.) will have a significant impact upon your cash flow in retirement. If you consider all the money in those accounts as capital, the capital in the registered accounts is fully taxable, meaning that if you are a high income tax rate taxpayer, you may be paying as much as 46% or higher upon the withdrawal of those funds. For non-registered accounts, the withdrawal of capital is tax free. 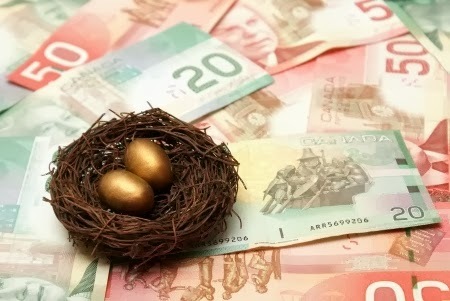 This issue raises the much debated question of TFSA vs. RRSP as you accumulate your retirement nest egg and for those who own corporations, the issue of salary vs. dividend (see my three part series "Salary or Dividend? A Taxing Dilemma for Small Corporate Business Owners" from last year on this issue and my 2014 Update). The drawdown of your RRSP/RRIF and/or funds from your holding company in a tax effective manner requires a detailed analysis of your specific situation and cannot be addressed here in a generic manner; however, suffice to say, it is an important cash flow issue. Some planners such as David Aston suggest you try and exclude your home from your retirement savings and have it serve as a back-up for any retirement shortfall. However, for many people, part of their retirement will include at least the incremental benefit of downsizing their home. For others, their retirement will only be funded by selling their home and moving into an apartment or reverse mortgaging their home. If you are diligent about this process, you should be able to at least determine a ballpark number for your anticipated spending upon retirement. The spending wildcard for many people is travel. Good health will allow for years of travel, while poor health will not only restrict how much you can travel, but could lead to significant medical costs. In a perfect retirement model you would factor in greater spending as you begin retirement and smaller spending as you grow older. In addition you need to consider occasional and lump sum expenditures. The aforementioned David Blanchett suggests many peoples spending in retirement maybe overstated by as much as 20% in traditional retirement models. Mr. Blanchett details these views in a very interesting paper on “Estimating the True Cost of Retirement”. Go-Go Stage- Retirees maintain the same lifestyle and their spending remains fairly constant with their spending pre-retirement, essentially because they still consider themselves “young” and travel extensively. Slow-Go Stage - Stein says that between the ages of 70-84, your budget will decline 20-30% as your body is not quite able to keep up with your mind and your intended activities or you just become weary of airports and trains. No-Go Stage - As you reach 85+, health issues tend to cause you to restrict travel and you are tied to a certain place, be it your home or a retirement home. If there is one thing this series has revealed to me, is that I truly underestimated the worth of a defined benefit pension plan. I had never really considered the possibility of purchasing an annuity in retirement, however, the more calculations I undertook, the more I realized that without a company pension plan, it may be prudent to consider purchasing at least a small annuity in my retirement. Moshe Milevsky suggest that annuities should be used to “pensionize” part of your retirement funds and that it may be worth the piece of mind to forgo potential growth of your nest egg to provide some comfort that you will not outlive your retirement funds. If you have a pension plan that covers off most of your retirement spending needs, you are afforded the freedom to take greater equity risk in retirement; since you can withstand stock market swings, knowing your day to day costs are covered off by your pension. Those without a pension face the dilemma of whether to annuitize some portion of their retirement funds or not. As Canadians, we assume we will always have full medical coverage. But who knows if the government will have the money in twenty-five years to support a top-heavy population. In addition, if your health deteriorates and you require private care, all your retirement funds could be eaten up by those costs. Interest Rates – Will they ever Rise? People have been expecting interest rates to rise for several years. Many of those same people now think the US government will be forced to keep rates low for the foreseeable future. Selfishly, higher interest rates would be welcomed by many people in or near retirement. A spike in interest rates would likely cause some disgruntled stock market investors to re-allocate their equity investments to fixed income instruments. Inheritances - No One Plans for an Inheritance do They? Baby boomers will inherit a massive amount of money in the next twenty or so years. However, the size of individual inheritances will fluctuate widely based on the longevity of their parents. I wrote a blog a while back on whether you should plan for an anticipated inheritance. I suggested that if you are certain you will inherit money, you should at least consider factoring a discounted amount of your potential inheritance into your retirement planning. For Canadians who live in large cities, have expensive homes and lifestyles, an easy solution to an underfunded retirement is to downsize/sell your home and move to a less expensive city. Whether you are willing to do that is another question. Stan Tepner, CPA, CA, MBA, CFP, TEP, First Vice-President & investment advisor with CIBC Wood Gundy and an advisor to some of my clients, told me "he often finds many people consider retirement an absolute event. 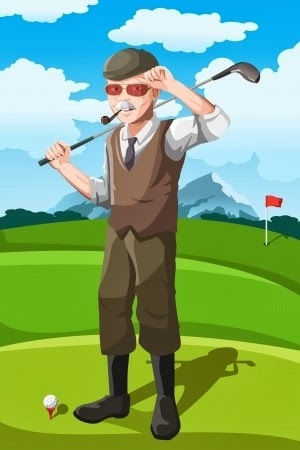 One day you are working and the next you’re golfing". He adds "that more and more people 'evolve' into retirement. They may shift into part-time employment or self-employment. This shift may be required for financial reasons or because you wish to keep your mind sharp. Either way, the extra income will assist in funding your retirement needs, especially if you have a savings shortfall because of poor market returns or you have just miscalculated your actual retirement needs". Next Monday in the final instalment of this series, I will finally provide some numbers on how much you may need to retire. Nice post. I hadn't heard of the Blanchett paper before and decided to read it. The most charitable thing I can say is that the conclusions are misleading. I was going to outline my reasons here, but it would be too long -- I'll have to write a post. I know the feeling. Wade Pfau's comment on the first ten years was really interesting. I guess I should expect I will retire into a bear market and then things can only get better from there. I think you have put your finger on the key issues here. The big question is, of course, how to combine them into a plan that will work. Being part way into the retirement transition, my impression so far is that you need to be flexible and to plan for that, but you won't know if it has worked until the minute before you die. Don't know if it is accurate but didn't the ancient Greeks say something like "the man who dies happy can say he has had a happy life"? Love the quote. My conclusion tomorrow in my final blog post (thank god) is pretty much your impression. Just read your 6 part article on How Much. It’s one of the best I’ve seen and it’s too bad you did not update it for the 2015 lowering of the RRIF withdrawal rates. We were in the Senario 2 before the lowering of withdrawal rate, now we fall under 3. Our combined pension is $31,166. Our other taxable income is approximately $20,000 so the total combined taxable is $110,000 with tax being $18,000-$20,000. Our after tax expenses are between $50k-$60k. Our investments are 100% equity, no bonds, funds or etf’s. Where we differ from most is that the income our investments generate exceed our annual expenditure and therefore we are able to re-invest funds each year which further increases the income. With the growing income we do not foresee having to draw from capital and therefore there is no % withdrawal rate to be concerned with. Invest to generate income (not to save a pile based on market value) and having your income grow over time seems to be the missing part of all the discussions I’ve read. The more you save and the more income it generates, I think is the key to Having Enough Money to Retire. Thx Anon. You are assuming everyone can cover their expenses with income, typically not even close to the case. It is still an estimate so does not eliminate uncertainty but might give your readers a slightly better shot at guessing their planning horizon.